Anthemic Canadian ensemble Arcade Fire just released its latest album, Everything Now. 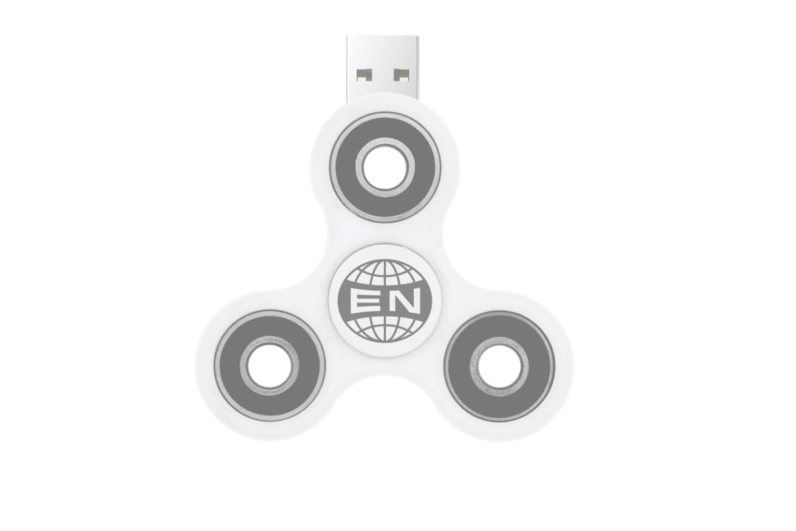 Perhaps in an attempt to capitalize on the current cultural zeitgeist, the band has released the album on a USB-enabled fidget spinner, in addition to the usual vinyl, CD, cassette, and digital editions. The limited edition format was flogged for $109 on the band’s official website, which is undeniably pricey, but well within the realms of what you’d expect for a limited edition trinket. In comparison, the CD version goes for $14, and the old-school vinyl record costs $18. Annoyingly, details about how the files are encoded are not currently available. For the price, it’d be nice to have a lossless version. Unfortunately, those looking to get a piece of music history are out of luck, as the fidget spinner has since sold out. However, you can check out Everything Now on Spotify. And you really should, because it’s excellent.